In 1921, eight ash trees were planted in the dorset village of Charlton Ambrose as a timeless memorial to the men killed in World War One. Overnight a ninth appeared, marked only as for 'the unknown soldier'. But now the village's ashgrove is under threat from developers. Rachel Elliot, a local reporter, sets out to save the memorial and solve the mystery of the ninth tree. In so doing, she uncovers the story of Tom Carter and Molly Day: two young people thrown together by the war, their love for each other, their fears for the present and their hopes for the future. Embroiled in events beyond their control, Tom and Molly have to face up to the harsh realities of the continuing war, the injustices it allows and the sacrifices it demands. 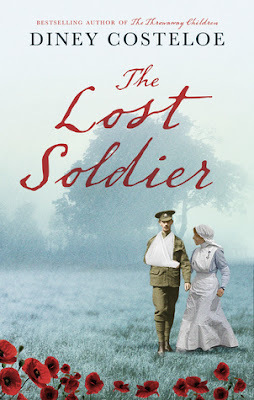 The Lost Soldier is told in two different time periods, one being when World War One was happening and the other being years later. During World War One, many men were lost during the battle and many women looked after them when they were injured. In the town of Charlton Ambrose eight men who lived in the town lost their lives in the war, to remember them eight trees were planted in the town each dedicated to a man who lost his life fighting for them to be safe. One night, a nine tree appeared no one knew where it came from or who it was in memory of but it was decide that it must be important and it remained with the rest of the trees never moving from where they were planted in 1921. Fast forward to years later, a housing developer wants to knock down the trees to make the town more modern but they didn't take into account the trees. Many of the families who lost men in the war still live in the small town, some are not fussed about the trees but others are dedicated on keeping the memory of their loved one alive as that is all they have left of them now. Rachel Elliot is keen to find out the story and the men behind the trees to publish in the local newspaper hoping to stop them from going ahead with their plans to knock the trees down to gain access to the plot of land they want. Rachel finds out the stories of some of the men who lost their lives that once lived in the town, one of these being Sarah Hurst's brother. Sarah along with Molly Day travelled to France to help the wounded in the war, working with the nuns to get them better either to go back to the front line or to get sent home unable to return to active duty. Part of the story is told through diary entries that Molly has made, telling of her time at the nun's house and about the men she meets. One in particular is Tom Carter, a solider who Molly develops a bond with when he is recovering from his wounds. I never saw the truth of the ninth tree, until I read it and then it put all the information that Rachel had gathered together. Each person in the story had some connection to each other and that's what made it even more heartbreaking as no matter what happened, someone lost something during the war and in doing so changes the rest of their lives. 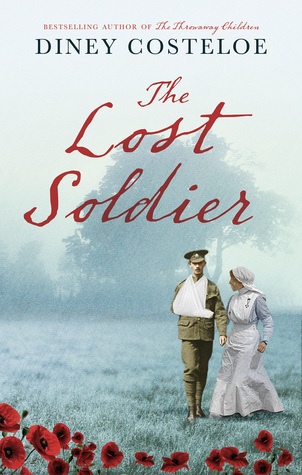 The Lost Solider is a heartbreaking story about loss, love and about honouring the people who fought for their country to keep their families safe. With its sweet love story and memorable characters, it is a story that I will never be able to forget for the rest of my life.